Neill Blomkamp’s third film, Chappie, focuses on a robot who can think for himself, feels emotions, and has hopes and dreams. Blomkamp (District 9, Elysium) directed and co-wrote the sci-fi thriller which stars Dev Patel, Hugh Jackman, and Sigourney Weaver. Chappie also reunites Blomkamp with his District 9 and Elysium star Sharlto Copley who handles the performance capture work of playing Chappie and making him come alive on the screen. 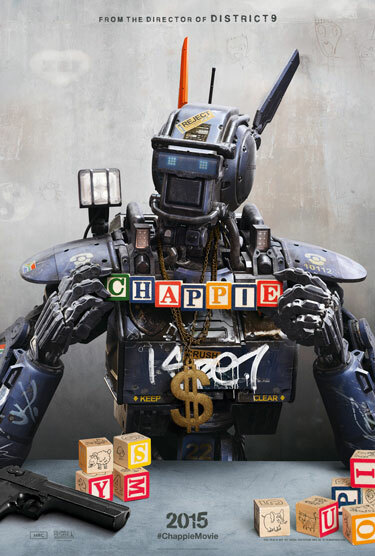 Columbia Pictures will release Chappie in theaters on March 6, 2015.